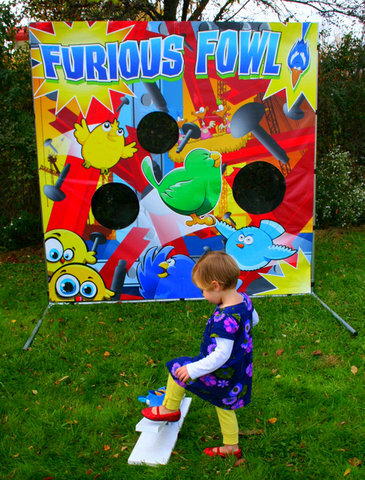 Furious Fowl is a hilarious bird themed game that can be enjoyed at any event. Kids love to take aim and STOMP! Furious Fowl can be used indoors or out. It includes a stomp launcher and a dozen plush birds.